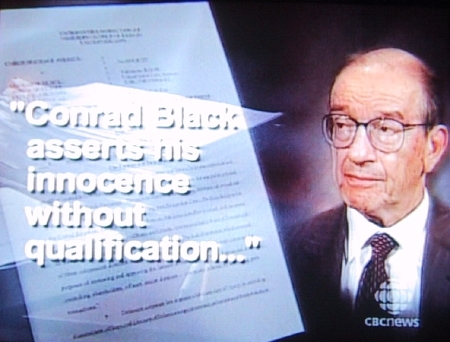 I’m fairly certain that isn’t Conrad Black’s lawyer Eddie Greenspan, but rather Chairman of the U.S. Federal Reserve Alan Greenspan. I guess even the best news organizations in the world can make mistakes. Written November 17, 2005 at 10:33 p.m. Foiled again! I just sat down to blog this World Exclusive myself, only to see you’ve beat me to it again! Rukavina! You can call me anything you want, just spell my name right :-). 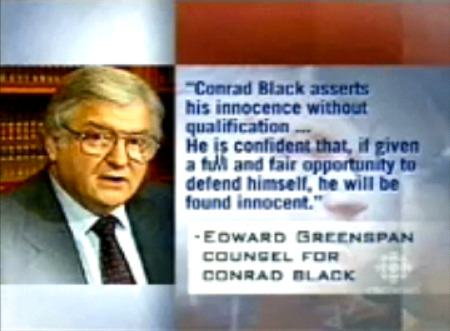 Any interested in this tragi-comedy (Conrad Black, not the omnipresent Mr. Greenspan) might want to follow some of the links I’ve posted over the last year.